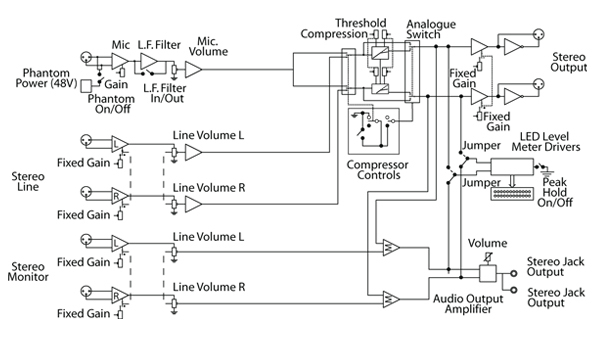 The RB-SSML1 Mic/Line Source Selector with Compressor/Limiter. The RB-SSML1 is a 1U rack-mountable source selector for compressing or limiting an incoming microphone or stereo line signal and mixing this signal with a stereo monitor input, which can then be metered and mixed to two headphone outputs. The unit is mainly used in situations where level control is required, for example in voiceover applications.